Riverside Heating & Air Conditioning LLC is proud to serve the Lincolnton community!  About Lincolnton, GA - Happy to be your hometown Heating & Air Conditioning Contractor! In the state of Georgia, the city of Lincolnton is located in Lincoln County and serves as the county seat by looking over administrative and official matters. The city lies on a total area of 3.2 square miles and has a population of 1,566 people. The city and county both are named after a General in the Continental Army that served during the American Revolution, Benjamin Lincoln. In 1798, Lincolnton was founded as the seat for Lincoln County and wasn’t incorporated as a town until much later in 1817. It was in 1953 that the town was incorporated as a city. Known as the Freshwater Coast of Georgia, the city attracts many sports fanatics that visit and explore various recreational opportunities that are available for hunting, fishing, and swimming. The city is home to over 160 historical places and buildings that earn it the status among the National Register of Historic Places. The city of Lincolnton is home to the Elijah Clark State Park, which offers visitors with a fantastic view of the sunset and picturesque scenery that makes it a great place to take photographs. The park’s features include playgrounds that will be enjoyed by children of all ages, a mini-golf course, various picnic spots and even a walking trail for a relaxing stroll to de-stress your mind. Fishing enthusiasts can enjoy the fishing docks which allow a great catch and breathtaking view. The little city of Lincolnton has many local eateries and restaurants that will satisfy the biggest of appetites. With a vast palette of dishes and cuisines to choose from, you can find a delicious meal no matter what you’re in the mood for. So whether you feel like eating Mexican, Chinese, barbeque or mouthwatering pizza, rest assured that the restaurants in Lincolnton have you covered.